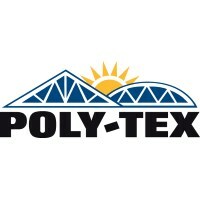 Poly-Tex has been providing canopy systems for over 30 years to our original market, the passive solar greenhouse industry. We have provided greenhouse canopy systems nationwide, including large systems in excess of five acres and are now extending our designs to address solar canopy systems. We are green business advisors. We help differentiate your business to win and retain new customers. We show you how to apply sustainability practices which saves operational costs. We can also help you decrease employee turnover. We are a large distributor of Polar Furnaces across North America. Polar Furnaces can provide heat to several buildings at the same time, reduce or even eliminate your fuel oil, gas, or electric heat bills, and cut the amount of wood you use by 60%. The Clean Energy Resource Teams (CERTs) are a statewide Minnesota partnership that connects individuals and their communities to the resources they need to identify and implement community-based clean energy projects. We’re a small group of individuals who work for a company that sells progressive, message-oriented t-shirts, button, stickers, etc. through a paper catalog and on our website. Malina Solar Structures manufactures solar structures and ground screw product lines. We have also designed and developed custom parts for more than 3,000 MW of installed solar power systems around the world. Minneapolis Community and Technical College (MCTC) is a public two-year college located in the heart of downtown Minneapolis. MCTC enrolls nearly 13,000 credit students annually and is an active partner in initiatives designed to strengthen the social, economic and cultural vitality of the Twin Cities metropolitan area. Full service electrical contractor with emphasis in Solar PV, EV Charging Stations, Lighting Upgrades, and other energy efficiency projects (smart homes, VFDs, soft starts, off-peak electric, etc.) Visit my website for more information! The Minnesota Bio-Fuels Association is a non-profit organization dedicated to supporting and representing the renewable fuels industry in Minnesota. We are committed to promoting cleaner energy for a greener and energy independent America. Sebesta Apothecary makes high quality, small batch, bath & body products in Minneapolis. All items are made with natural ingredients, are eco-friendly and wholesome with minimal packaging that is reusable, recyclable, or biodegradable. Sundial Solar has developed projects across the U.S. and the world. We are a Minneapolis- based company with over 20 years of solar energy experience. We install ground-mount systems, trackers, solar canopies, and solar lighting. Nelson’s technicians and subcontractors have experience with storefront build-outs, industrial automation projects, solar thermal installations, restaurant renovation, residential remodels, solar photovoltaic installations, and many other diverse projects. Some contractors are reluctant, or unable to take on the most challenging projects. Not Nelson. We do it all: Reduce energy usage, save money on utilities, reduce equipment down time, european voltage issues, grain elevator repair, bathroom and other home remodels, and promote alternative energy technologies. Four Seasons Energy Efficient Roofing, Inc.
Over 45 years ago, Darrell Schaapveld, CEO of Four Seasons Energy Efficient Roofing, began installing commercial and residential roofs. With his lifelong passion of honoring the environment, he has incorporated his ecological values into his business. Darrell can advise the types of roof technologies that are best in large variable weather environments, like Minnesota, North and South Dakota, Wisconsin and Iowa endure. In 1991 Chris Swanson joined the family profession at Code Electric. Chris has over 20 years of commercial experience, many of which he proudly worked side by side with his grandpa and three uncles. As his cousins grew up they joined the family profession as well. Legacy Solar has been a full service solar installer in NW Wisconsin since 2002. 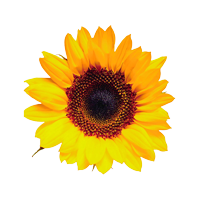 Our numerous solar energy services include education, consultation, design, and installation. We repair, recondition, buy, sell, and install old-fashioned windmills that were originally designed for pumping water. Dunn Energy Cooperative (DEC) is a member-owned, not-for-profit electric cooperative in Menomonie, Wisconsin. We were established by members in 1937 to bring electricity to rural families, farms, and businesses.